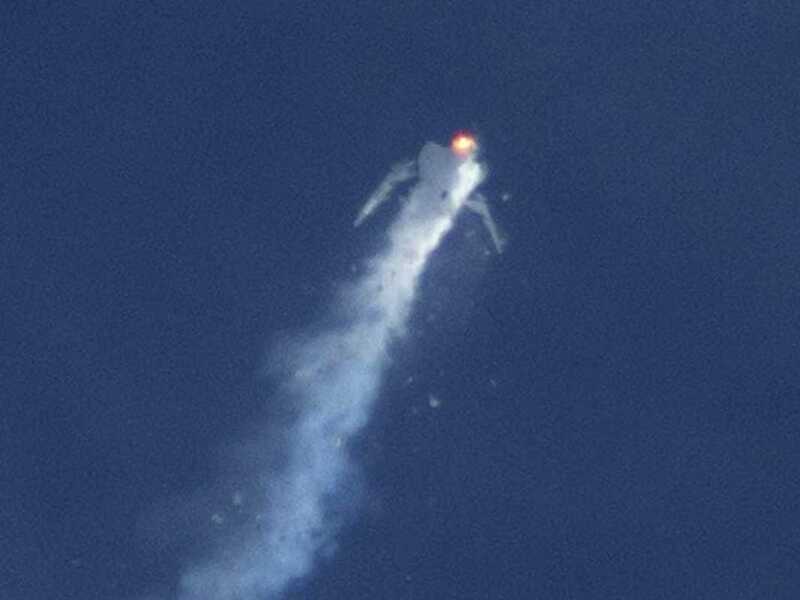 REUTERS/Kenneth BrownThe Virgin Galactic SpaceShipTwo rocket explodes in mid-air during a test flight above the Mojave Desert in California Oct. 31, 2014. Good morning! Here’s what you need to know for Monday. 1. Pro-Russian rebels in the regions of Donetsk and Lugansk held elections on Sunday, the results of which have been declared a breach of constitutional law by the United Nations, but will be recognised by Russia. 2. German chancellor Angela Merkel has reportedly warned British prime minister David Cameron that she would support a British exit from the European Union if Cameron attempted to restrict immigration within Europe. 3. Investigators of Virgin Galactic’s SpaceShipTwo crash are looking into the rocket’s fuel propulsion system, which used nitrous oxide rather than a traditional carbon-based fuel. The latest report on climate change from the United Nations warns that failure to reduce emissions could change the climate so drastically it, “might become dangerous for people to work or play outside during the hottest times of the year,” The New York Times writes. 6. Burkina Faso’s army pledged to install a unity government on Sunday, while taking over national television headquarters in the capital Ouagadougou. 7. China’s services sector hit a nine-month low in October. 8. A British banker has been charged with the murder of two women in Hong Kong. 9. Despite being thousands of miles from the outbreak, North Korea has imposed some of the world’s toughest measures against the Ebola virus. time of 2 hours 10 minutes 59 seconds. If you can explain what happens when smoke comes out of a cigarette, you’re eligible for a $US1 million prize.